Welsh pop singer Duffy is recording new material. She was born Aimée Ann Duffy and reign from Wales. Her 2008 debut album Rockferry has sold 6m worldwide and spawned hit singles such as “Mercy” and “Warwick Avenue.” A new album is slated for release later this year and the singer has worked with Drummer Questlove, one of The Root’s members. He has previously written tracks for Christina Aguilera and N*E*R*D. Duffy won three Brit Awards last year including British Female, British Breakthrough and British Album. 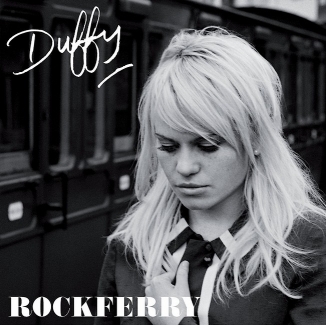 While “Mercy” became the great breakthrough for Duffy, it was actually the title track “Rockferry” that was released first. Co-written by Suede’s Bernard Butler, “Rockferry” peaked at No.45 in the UK in November 2007. The track also reached the Swiss Top 40 upon its release.